*** Listen to the performance, thanks to Minnesota Public Radio!! 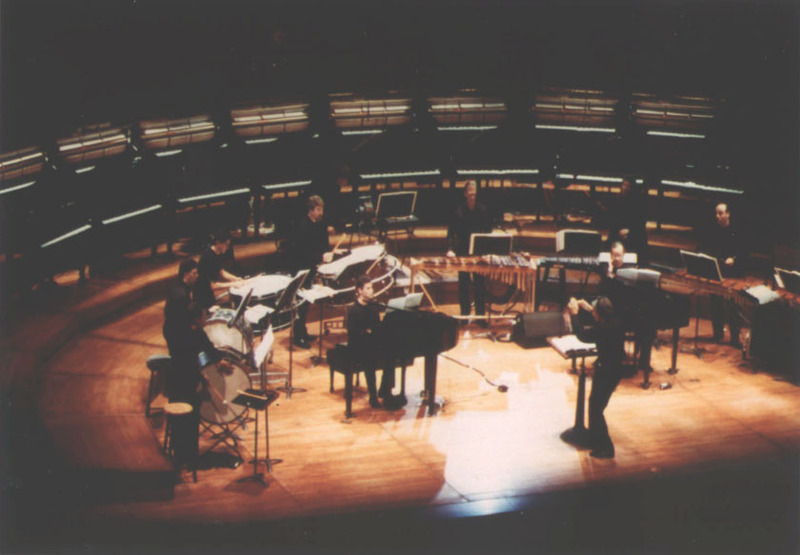 On June 11, 2000, The San Francisco Symphony Orchestra, as part of the American Mavericks series, presented an all-Antheil concert, conducted by Michael Tilson Thomas, and co-produced by Other Minds. The nearly-sold-out house responded to Michael Tilson Thomas's blistering reading of the Ballet Mécanique with a standing ovation lasting for five curtain calls. The San Francisco Chronicle called it "a huge, glorious din." The San Jose Mercury News called it "a heroic, virtuosic account." And the Examiner said that Antheil "crash-landed on the stage with a deafening roar that rings in the ear still." And the San Francisco Classical Voice called it "electrifying...a dynamic range that started at fortissimo and just got louder." Thanks to all the fantastic musicians, the terrific tech crew, the generous and supportive administration and staff of the SFSO, and to Tim Tully, who did all the computer and MIDI work to make the performance possible. Take a look at our San Francisco scrapbook!  The San Francisco Public Library featured an Antheil Centennial exhibit in the Steve Silver Room on the 4th floor.  and a CD release party at the very cool Doc's Clock, on Mission Street at 22nd.